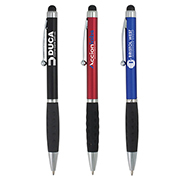 Tradeshow and sales seminar attendees simply love multi-functional promotional merchandise such as these branded stylus pens. 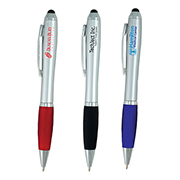 Featuring a soft rubber stylus on the top, these custom pens can be used for touchscreen mobile devices and tablets. They also make fantastic marketing tools with your brand prominently displayed. 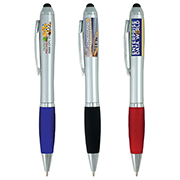 Innovation Line boasts of really stylish stylus pens which come in an assortment of modern designs and fun colors. Made from premium quality ABS plastic, they can be personalised with the brand name or logo via PhotoImage 4 color or Spot Color print process. Trust only the experts when it comes to quality promo products. Innovation Line has been in the business for many years and is committed to providing 100% customer satisfaction. Contact our sales team for more details!